Percy ‘Master P’ Miller is hip-hop business royalty. The No Limit founder was a major player in the thriving US rap scene of the ‘90s – thanks to the global success of the label he started out of the boot of his car. At various points, No Limit’s roster included the likes of Snoop Dogg, TRU, Mia X and Mystikal, as well as Master P himself. It became a respected brand worldwide and a multi-million dollar business, going on to sell over 75m records. Such success is something Master P is now aiming to replicate with the urban division of fast-growing music firm, Cinq Music. 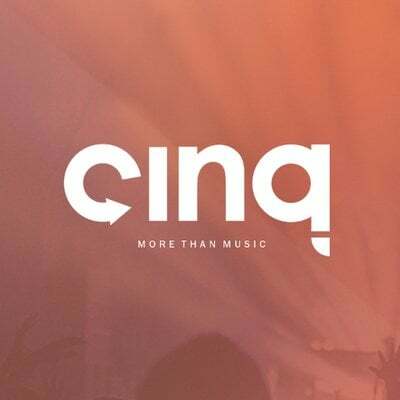 Founded in 2012, Cinq is a technology-driven record label, music distribution, and rights management company with an HQ in Los Angeles, plus offices in New York and Orlando. In August last year, it absorbed $20m in series B funding from its parent – media and tech company GoDigital Media Group – specifically to acquire music rights. The next month, Cinq made a real statement of intent by acquiring the Atlantic Records-released catalog of T.I – including three US No.1 albums – before announcing Master P as its President of Urban Music. Cinq actually first got into business with Master P eleven years ago, when the firm inked a multi-year digital distribution deal for his music catalogue as an artist, including three US Top 5 albums. Master P’s music business career began in earnest in the early ’90s, fresh out of college and aged 19, when he opened No Limit Records as a music store in Richmond, California. The plan was to get his own music noticed, while building up a marketing and promo fund for his own record label. It worked. Looking for some eduction in the music business, the entrepreneur managed to seek out the attorney of the biggest artist in the world, Michael Jackson, and picked up a bagful of industry savvy. These smarts helped Master P secure a then-unheard of distribution deal with Priority Records – 85%/15% in favour of No Limit. But not before he turned down a $1m from a certain Jimmy Iovine. “[Jimmy’s] offer was for a regular artist deal which meant I would be selling my rights, my name and everything I was trying to create,” Master P recalls. “I wasn’t looking for that kind of deal. “I didn’t have much money at the time but I was ready to get back out there, hustle, sell CDs out the trunk of my car, work in the store and chase my dream. No Limit grew from a local brand to global renown, a process hastened by the release of Master P’s ’96 album Ice Cream Man, which featured an array of artists on No Limit’s roster. “With No Limit, the music was real and as we grew, we went from competing with rap artists to competing with rock’n’roll artists,” says Master P today. 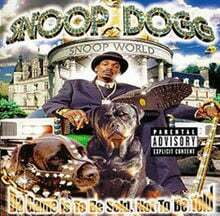 After releasing albums from Master P’s own collective TRU, as well as Mia X and Mystikal, No Limit signed Snoop Dogg in ’97 following his acrimonious split from Death Row Records. Snoop’s debut album on the label, Da Game Is to Be Sold, Not to Be Told (pictured), shifted over half a million copies in its first week and was certified double-platinum in less than three months. Says Master P: “After signing Snoop, everybody knew that we could take an artist that was already out and make them even more relevant. “We broke artists that people had never heard of to selling 500k and 1m records. We understood the grassroots of the marketing business, and that’s what Cinq is doing now. Cinq Music President Barry Daffurn tells MBW that the main ambition for Cinq’s urban division, and the company at large, is growth. He says: “We want to work break new artists and work with artists who are established and iconic, and those can be from any genre. What are your motivations for getting back into breaking hip-hop talent? At No Limit, we were able to sell 100m records independently. Now we’re in the independent game again. Independent artists today can control their product, what they are doing and have an amazing career. There are artists who are breaking right now that the major companies have never even heard of because of the internet and social media. We want to find that talent and bring it to the world. What do you look for in artists? Hard work, talent, uniqueness. I look for belief — what are you willing to sacrifice to get out there, are you willing to give it your all? I’m out there looking for hit records – diamonds in the rough. You can make music but you’re not in the music business until you create a hit record. What do you make of the current mainstream hip-hop scene? [The industry] is only making singles right now. We [at Cinq] want to take it back to the ‘90s where we made complete albums. I think that’s what fans are missing. If we release four or five singles instead of one, an artist is going to be able to get more tours and the fanbase is going to be stronger because people will know more than one song. We’re going to give you more bang for your buck. Going back to your history and lessons learned in the music business, is it true that No Limit filed for bankruptcy and you sold the catalogue? We never sold the catalogue and that bankruptcy thing never was done. It was something a lawyer told us we needed to do but they never actually went through with it. What were the reasons behind the lawyer making that suggestion? Whatever needed to be done for business was done and we moved on. We know how to make music, money, records, and we’ve done thousands of things since then and created hundreds of businesses. The fact that we’ve been around for 20 years means we know what we’re doing. Do you have plans to further exploit the No Limit catalogue? We are still looking at doing something else with No Limit and all the product that we have, but Cinq is a new era and that’s what we’re focusing on. Who do you most respect in today’s music business? Anybody that’s successful. If it makes dollars then it makes sense. If you build a career you are going to outweigh the rapper that thinks he is the best rapper. I would show people how to make this a business and not just get caught up in wanting to be famous. Everybody wants to be famous until they get the fame and realise they haven’t been taking care of their business; by then it’s too late because they signed a bad deal and there’s no looking back. Get your business together because talent doesn’t last forever. Ask yourself: what kind of brand are you building? 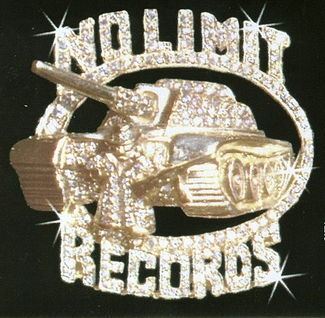 No Limit created a trusted brand with its themed album covers and collaborations between artists on the roster. How will you emulate that kind of culture at Cinq? There’s two ways we’re looking at this. We want to build the brand to where we are able to promote artists together [simultaneously], which nobody is doing right now. And we want to find global talent. We’re going to think outside the box and create careers through other brands and products and reality TV, movies and sponsorship packages, like tying artists with a Sprint or AT&T. A lot of the majors are waiting around. We are saying that if we believe in something, let’s go to urban radio and break it. But How are you going to compete at urban radio with the majors? I’m going to break acts through Pandora and Spotify playlists first, which is where radio is being programmed through now. We’ll take artists on the social internet direction first, so that when we go to radio we have something that’s already successful. Everyone wants to be a part of something that’s already successful. Final question… do you share in the mass optimism about the future of the music business? That’s why I’m holding on to everything I have from the past and I’m creating new music to be a part of it. That will be the payoff.